This exquisite antique clock, featuring an ormolu and lapis lazuli body topped by a Grecian urn, was retailed by the esteemed Maison Marnyhac in Paris. 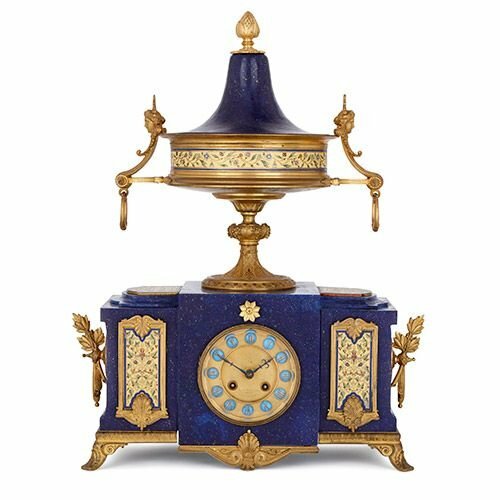 This beautiful Grecian style French mantel clock was crafted c.1890, with the lapis lazuli veneer being a later addition. 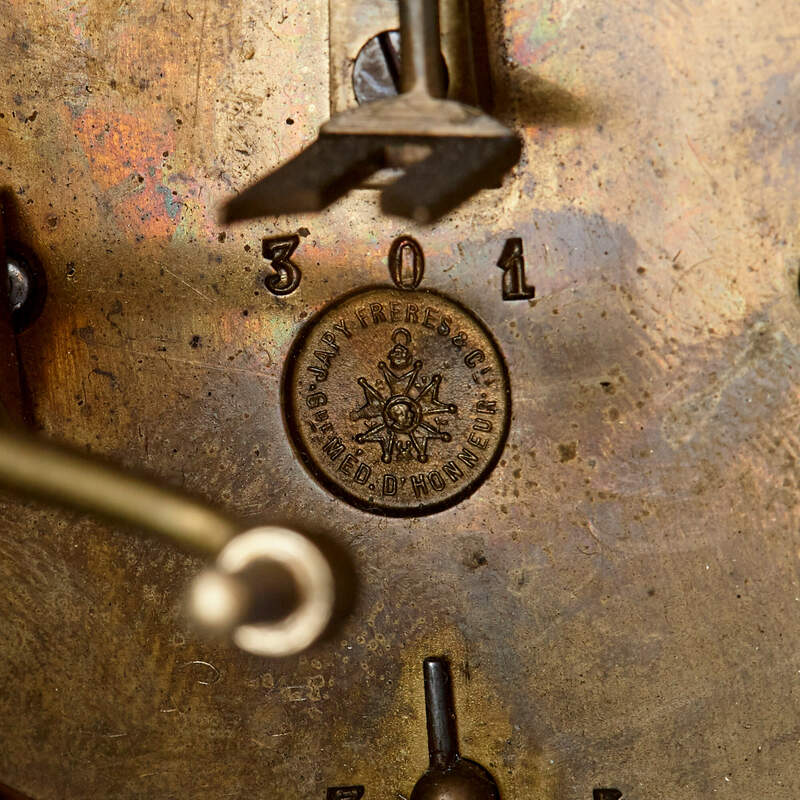 The piece was originally retailed by Maison Marnyhac, on the Rue de la Paix, Paris. Maison Marnyhac, also known as La Societe des Marbres et Bronzes Artistiques de Paris, was setup in the mid-19th Century with the support of Charles de Marnyhac. They employed only the most highly-skilled designers, and resultantly became experts in the production of luxury wares, winning a medal at The Exposition Universelle in 1878. The clock face is set within a stepped rectangular base, which is surmounted by a Grecian urn. 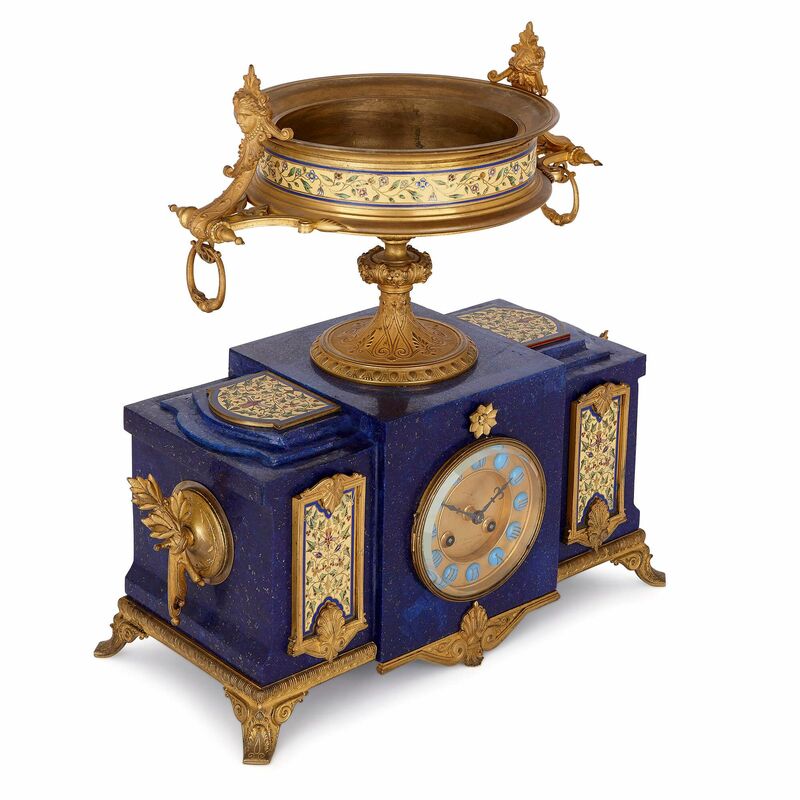 The clock has been crafted in ormolu, and the main body and lid of the urn have been veneered in lapis lazuli. This rectangular body is supported on four ormolu feet, and is ornamented with cloisonne enamel plaques featuring floral motifs. 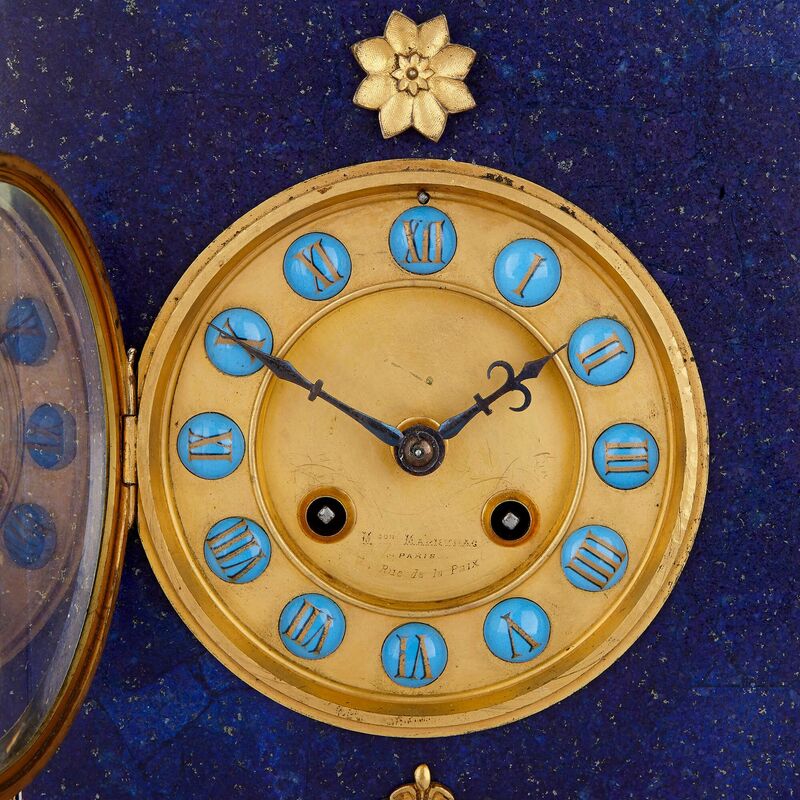 These panels, which appear stepped-back on either side of the clock face, are set within miniature ormolu frames. 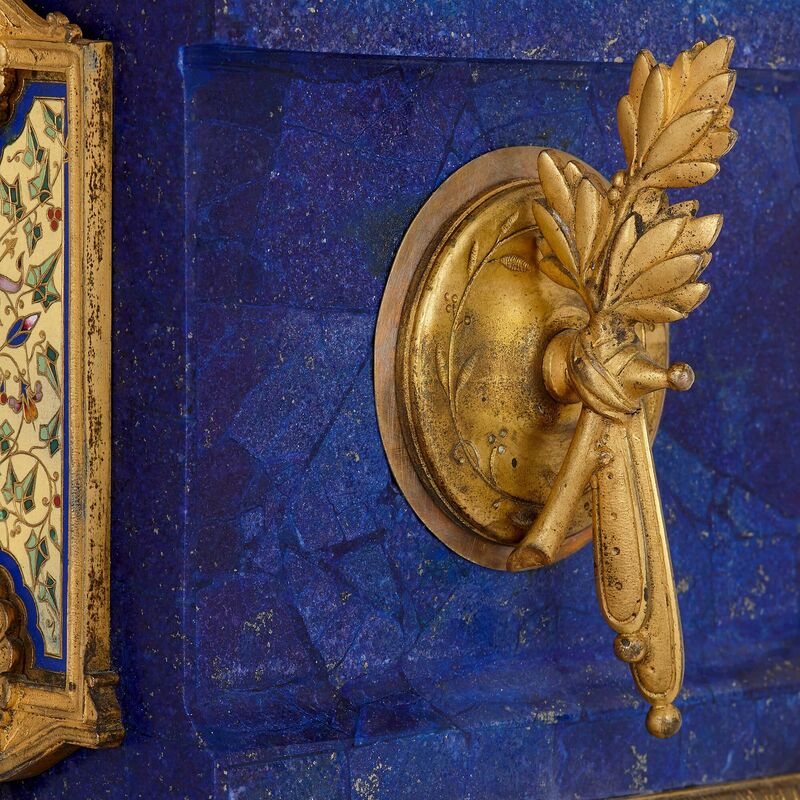 Two similar plaques decorate the shoulders of the clock, each placed on the highest level of an ornamental recessed surface. The clock face is finished with royal blue enamel Roman numerals. 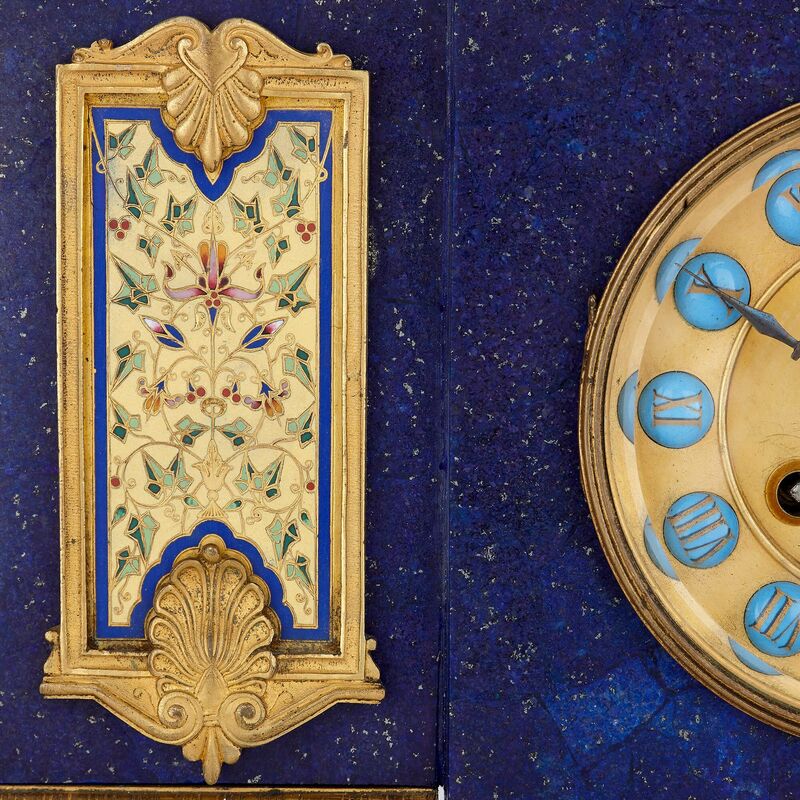 The clock is set with two handles, which take the form of tied laurel branches. Surmounting the clock is a Grecian urn, that features an embossed ormolu stem, which is further decorated with acanthus leaves. A cloisonne enamel band, ornamented like the lower plaques, wraps around the body of the vase. From this body, two handles project straight out, then loop up, terminating in classical female masks. 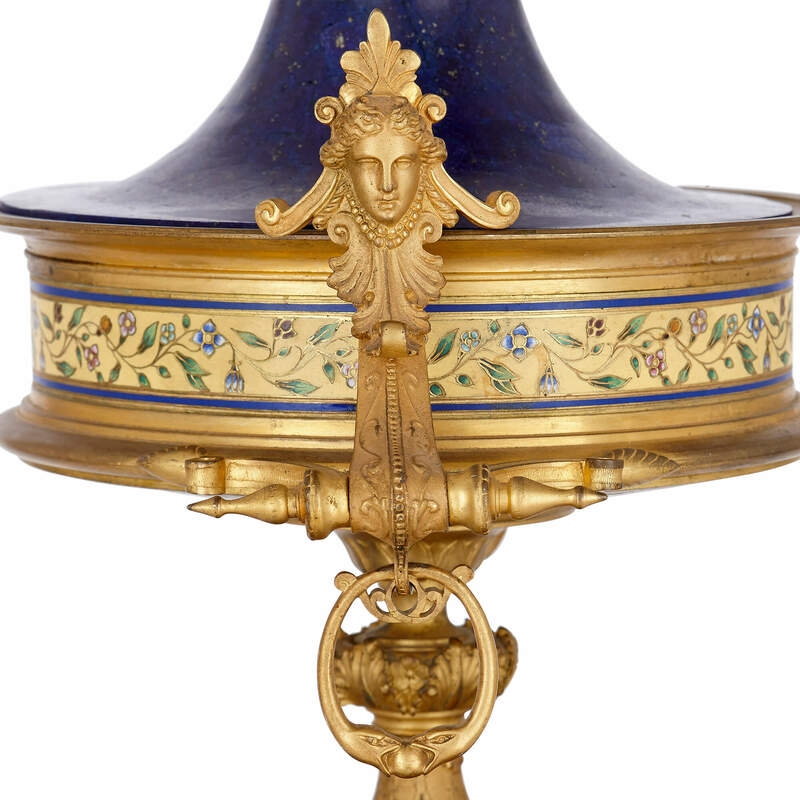 The removable lapis lazuli lid is topped by a gilt acorn finial. 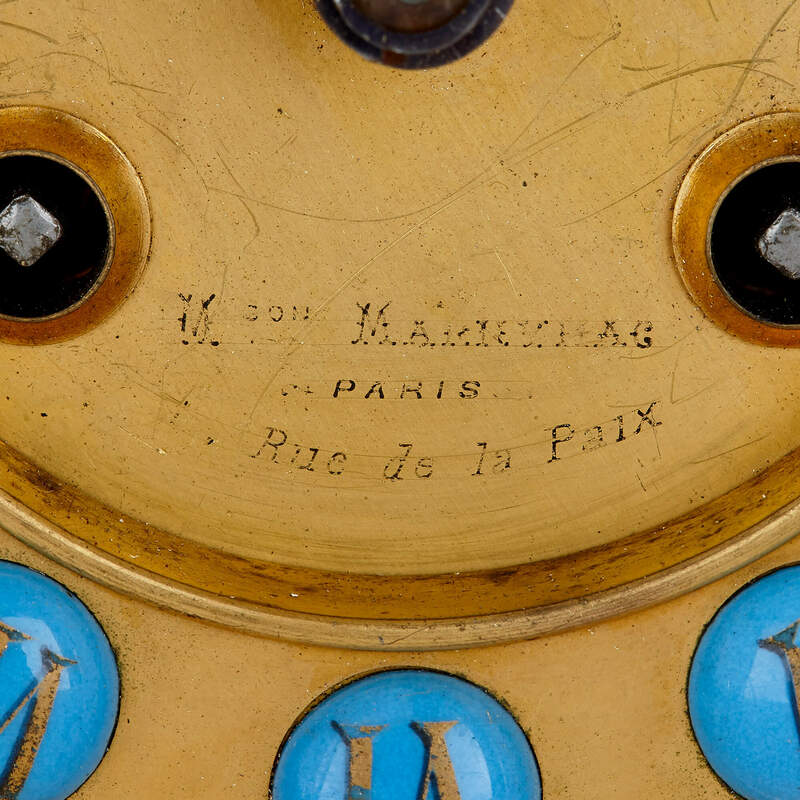 The clock face is signed 'Mcon Marnyhac Paris Rue de la Paix'.